The Kerrie Show: It's National Ford Mustang Day ... What's Your Favorite? 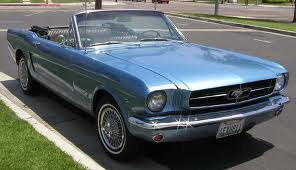 It's National Ford Mustang Day ... What's Your Favorite? Fun fact: Both Aron's mom and mine owned a Mustang in the 1960s!